APA-Ouagadougou (B/Faso) — At least seven soldiers have died in an explosion at an artisanal mine in Baraboule, north of Burkina Faso. 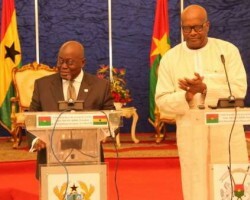 APA-Ouagadougou (Burkina Faso) by correspondent Adama Salambéré — The President of Burkina Faso, Roch Marc Christian Kaboré, is paying a working visit to Ghana on September 17 and 18, at the invitation of his Ghanaian counterpart, Nana Addo Dankwa Akufo-Addo. APA-Ouagadougou (Burkina Faso) — Seven soldiers in Burkina Faso have died after they were ambushed by unidentified armed individuals on Monday evening, security sources said. 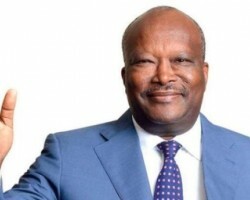 APA-Ouagadougou (Burkina Faso) by correspondent Alban Kini — The referendum on the country’s new constitution for the Fifth Republic in Burkina Faso will take place on March 24, 2019. 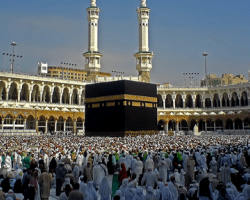 APA-Ouagadougou (B/Faso) — The first Mecca-bound Burkinabe pilgrims for 2018 left Bobo-Dioulasso early Tuesday, according to a statement from the ministry of Territorial Administration and Decentralization seen by APA. 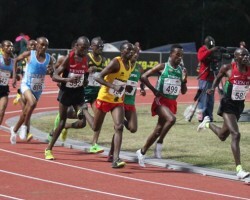 APA-Ouagadougou (B/Faso) — Burkina Faso is ranked 10 out of the 52 countries participating in the 21st edition of the Senior African Athletics Championships which took place from 1st to 5 August 2018 in Asaba, Nigeria. 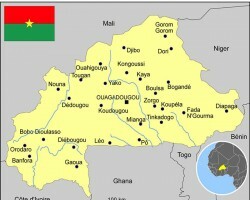 APA-Ouagadougou (Burkina Faso) — Armed individuals have attacked a security outpost in eastern Burkina Faso, leaving several police officers injured.